Let’s face it: many of us metalheads have the need for speed — big time. Of course, listening to any style of metal, by nature, is a highly visceral, loud, and powerful experience. Diehard fans of the faster sub-genres also crave the relentless, frenetic energy, like a desperate speed freak or insatiable adrenaline junkie about to leap from an airplane. Talk about catharsis. 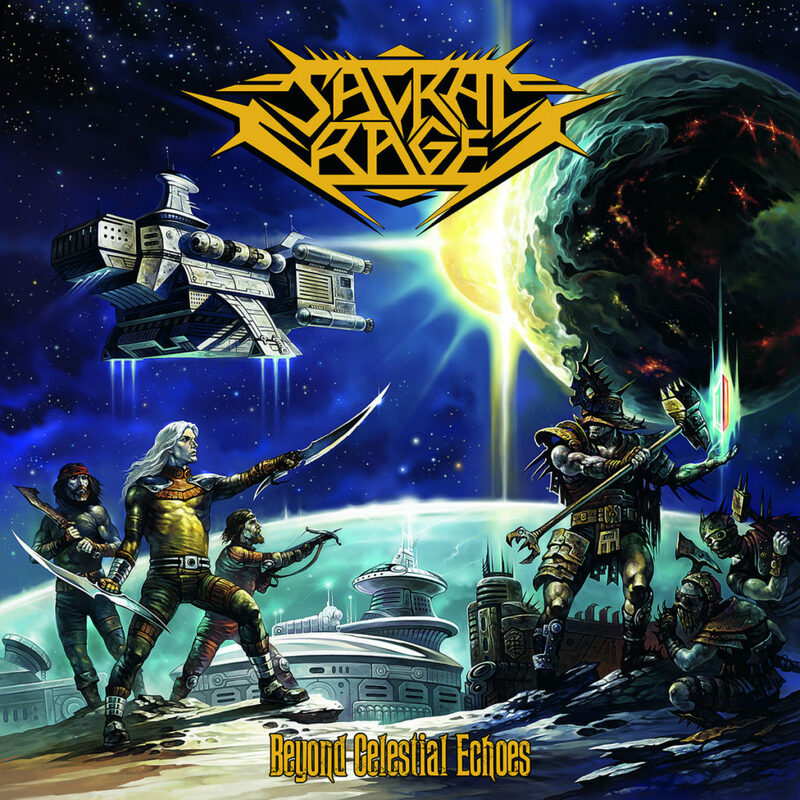 Apparently eager to please, or just unapologetically spastic, Greece’s Sacral Rage deliver the high-velocity goods on Beyond Celestial Echoes. Not only does the Athens-based quartet play fast in the vein of classic ‘80s speed metal and thrash acts, but they also take the listener on a veritable musical roller coaster. Yes, this is withering-fire metal amplified 150 percent on the technicality and innovation scales. Sacral Rage’s music features an unpredictable plethora of rhythmic and melodic twists and turns, always leaving the listener guessing and gasping for more. Most importantly, the songwriting throughout is memorable and compelling. That’s an unstoppable formula, folks. 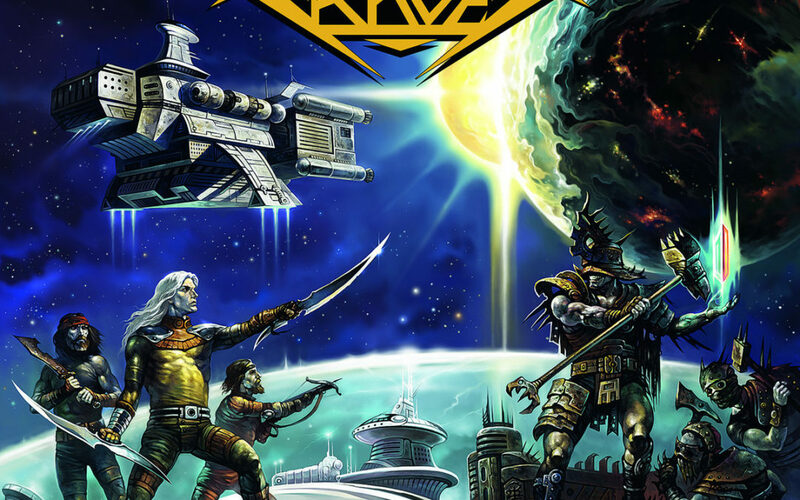 Sacral Rage — consisting of singer Dimitris K., bassist Spyros S., guitarist Marios P., and drummer Vaggelis F. — play a high-tech brand of speed metal that certainly has some 1980s precedents. The structural complexity, complete with multiple meter shifts and numerous riff changes, may remind one of technical icons Death, Annihilator, Coroner, or Voivod. Other riffs showcase straight-forward and staccato speed riffs, juxtaposed with moments of crunchy groove (think along the lines of Agent Steel, Metal Church, Intruder, or Raven). Spyros S.’ fluid and furious basslines, working alongside the neo-classical lead mastery of Marios P, recall the mighty early work of Helloween. Still, the distinctive vocals of Dimitris K. tend to take center stage; his frequent, King Diamond-esque ear-piercing shrieks may make or break the band, depending on one’s tastes. Regardless, the sheer quality of the songs ensures that Beyond… is an invigorating and durable listening experience. From the blistering opening speed burst of “Eternal Solstice,” to the alternating groove/blistering gallops of “Vaguely Decoded,” to the über-hummable (“Suspended Privileges”), to the epic and dynamic strains of “The Glass,” Sacral Rage consistently deliver one mind-blowing — and totally melodic — ride.